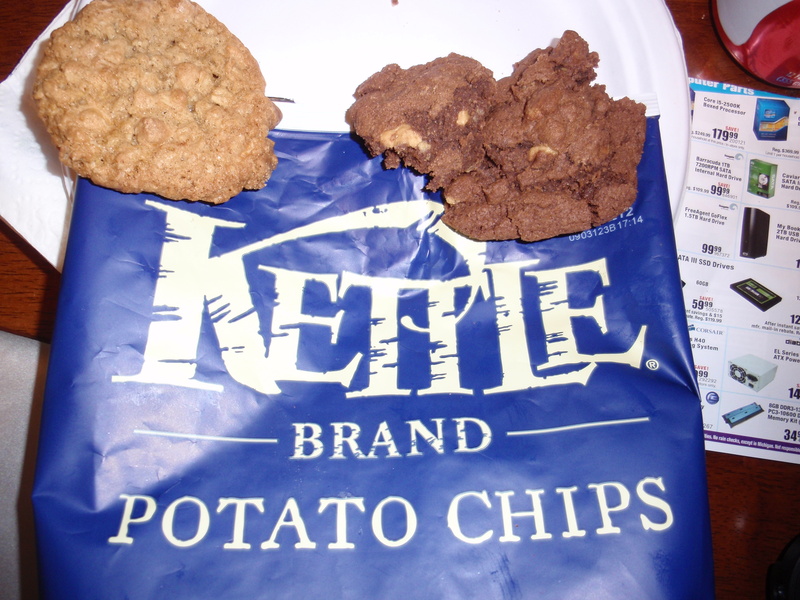 (Above, the winners of the fourth round of the Clintonville Pizza Challenge: a bag of Kettle Chips and homemade cookies). When this series began, I was going to have a graphic designer pal put together a bracket to plot the rise and fall of the pizza candidates in the challenge. Unfortunately, we have only seen a rise of fail. Dantes and Pizza Primo both missed the mark. By a long shot. Neither are advancing to the next round. Here is what transpired. Don’t try this at home. “This is the last round…..right?!? 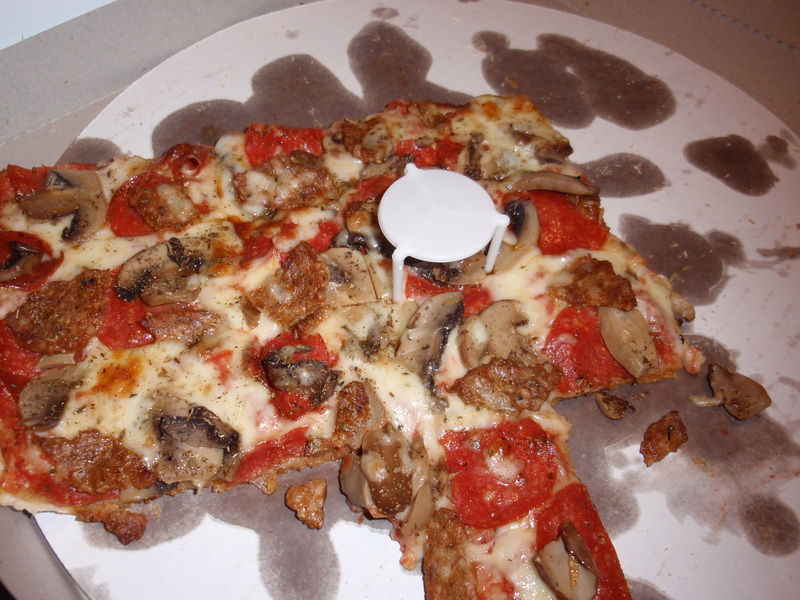 We tried a plain cheese pizza from both location as well as a sausage, mushroom and pepperoni from both shops. Their was a glimmer of excitement for Dantes since their sausage is billed as housemade. We had hope – we lost it. One of the Primo pizzas ordered was a thick crust variety – that did not help. Are these bad pizzas. No. Are they good? The ones we had given new meaning to the word meh. 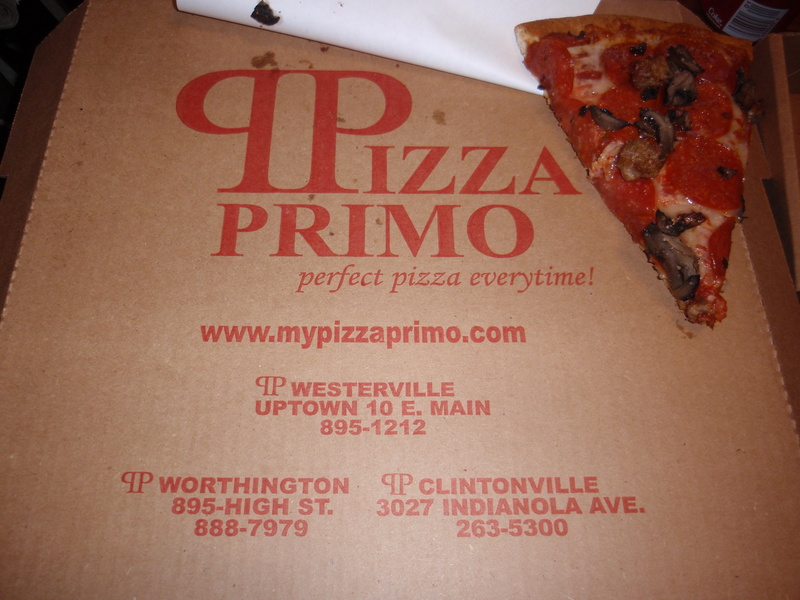 In the case of Pizza Primo – across the board the consensus was that it tasted like frozen or off the shelf pizza. The sauce lacked any aspect of flavor. It was red and wet but that was it. Overall: bland, unmemorable, disposable and generic were the adjectives used. We had a lot of this one left when the evening concluded. For Dantes, I had a glimmer of hope. I believe Dantes was my first encounter with pizza, I would have been five or six. As I stood waiting to pick up our order, I had a lot of time to watch the place in operation. It is a family joint – family run and patronized. The dough slingers know the customers by first name, what school they went to and probably which T-ball team their cousin was on last year. While I was there an employee and a customer spent fifteen minutes catching up on family matters while pizzas were prepped. Another customer shared that he has just had to put his dog down. The order counter is right by the pizza assembly area so you watch each pie made. I read a letter on the wall praising the Dantes sausage and I was hoping their sausage would deliver a hit for the nerd night Clintonville Pizza Challenge crowd. Dantes has character for sure and a good connection to community. I was hoping some of that love would rise and thrive in the pizza dough too. Dantes fared better but was still underwhelming. The sausage, while homemade, tasted like it might have been made at home….long ago. The grease smears permeating the thin plain white box is a signature characteristic but the good aspects of the grease went the wrong direction. In the case of both cheese Pizza Primo and especially Dantes pizzas – the plain pies are at a disadvantage because they don’t allow any other ingredients to hide the imperfections of the products. For both pizza purveyors a better sauce could have helped either cross the line of average but the whole was less than equals to the sums of the parts – passable but not worthy of the next round. We now find ourselves with four rounds complete and several disappointments. Before the gang stages a coup and kicks me off the pizza island, we are going to double down and put all the remaining pizzas on the table. On Monday, April 16th we are going to complete round one of the series with one each of Northstar Cafe, Whole World, Gatto’s and Romeos and hope that at least one is a cut above the rest and at least more than edible. Stay tuned for the outcome. I doubt there will a final four out of this series. But we are hoping for a final two to pair off against Adriaticos as the official pizza of nerd night. 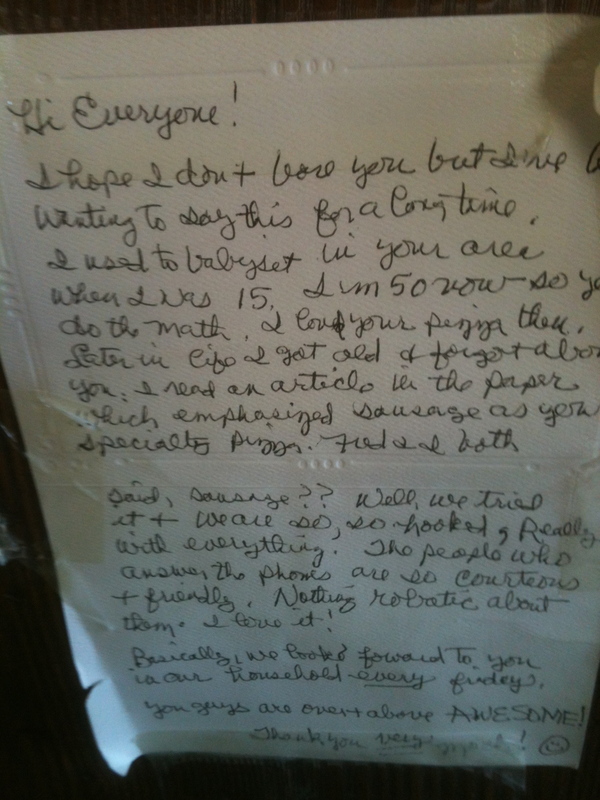 This entry was posted on April 15, 2012 at 6:23 PM	and is filed under Clintonville, culinary misadventure, pizza. Tagged: Clintonville Pizza Challenge. You can follow any responses to this entry through the RSS 2.0 feed. You can leave a response, or trackback from your own site. For those of you doing this pizza challenge – I encourage you to try Ange’s Pizza on Karl and 161. It is the best I have found so far in Columbus. Try it – you might like it. Linda W.
CMH G. Reply: Would you stop teasing me and do it. I have the bricks for the pizza oven and access to design and premium fire brick. Just keep telling Trish you are going our for “milk” it will be months before she know. CMH G. Reply: Thank you Jennie. We are committed to this task and will see it through. Tonight we wrap it all up.